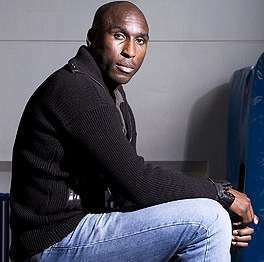 Sol Campbell | NUFC Blog. 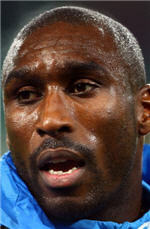 Archive for tag: Sol Campbell. Will the Sun shine on Sol? Sol: Seasoned pro? Or past it? There have been a few words out there in the press about the possiblity of Sol Campbell ‘coming in from the cold’ and getting a game at Stoke City. I didn’t realize he was ‘in the cold’, but we all know how the press like to paint these things. He hasn’t played since our great 3-1 win v Liverpool earlier in the season. To me, he’s a well seasoned pro with a great reading of the game. He also barks orders really well and organizes things at the back. With him, Joey Barton, Kevin Nolan, Fabricio Coloccini and Steve Harper on playing at the same time, it’s like having five captains on the pitch. Some say he’s beyond his prime now, but I reckon he still does an excellent job, when called upon. 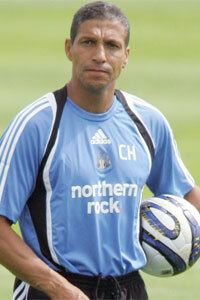 After the last game v Everton i think it’s time to bring his experience to bear on proceedings. We looked messy at the back with Steven Taylor asked to do a RB job. He seemed drawn into the CB role all too often and we were exposed down out right by an in-form Arteta, who found plenty of space in which to maraud. I’m not saying Taylor is a bad player, he just looked out of place in that game. Plenty of us have asked for Taylor at RB for some time but it didn’t work out that time. Can Taylor play there? Who knows? But if he does, he has to stay out right and focus. 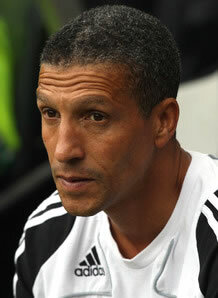 Chris Hughton doesn’t rule out bringing Sol Campbell to Newcastle United. “Sol is one signing that might possibly happen here. Who sang Twilight Cafe in 1981? Ah, hang on, not that sort of ‘bits and pieces’. No indeed, just some bits and pieces about Newcastle United from the last few days that haven’t managed to get their own article. 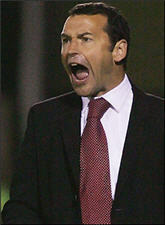 “Once I had my own deal sorted, the first thing I did was to get Colin sorted and he will continue now in the same role.